Are you tired of the expensive cable and satellite fees? Don't Worry. 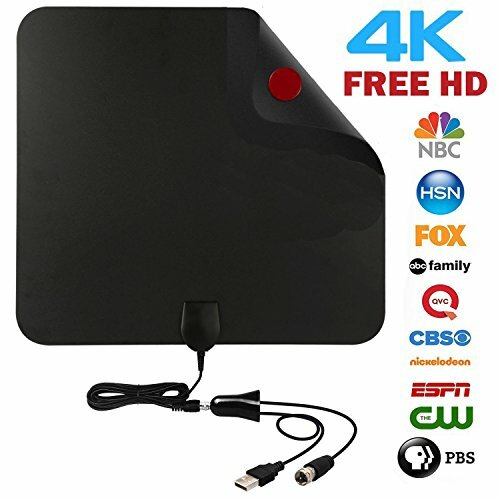 Ahere Indoor Antenna is specially designed for receiving all over-the-air(OTA) networks in your area without paying monthly fees. It will help you get your local channels in the range of 50 miles. How to Get Best Reception in Your Area? ULTRA THIN ANTENNA:After installation, you can hide the antenna behind the TV or bookshelf,lay flat on a table or stick it in your window.The antenna is easy to pick up more HD tv channels. If you have any questions about this product by ahere, contact us by completing and submitting the form below. If you are looking for a specif part number, please include it with your message.